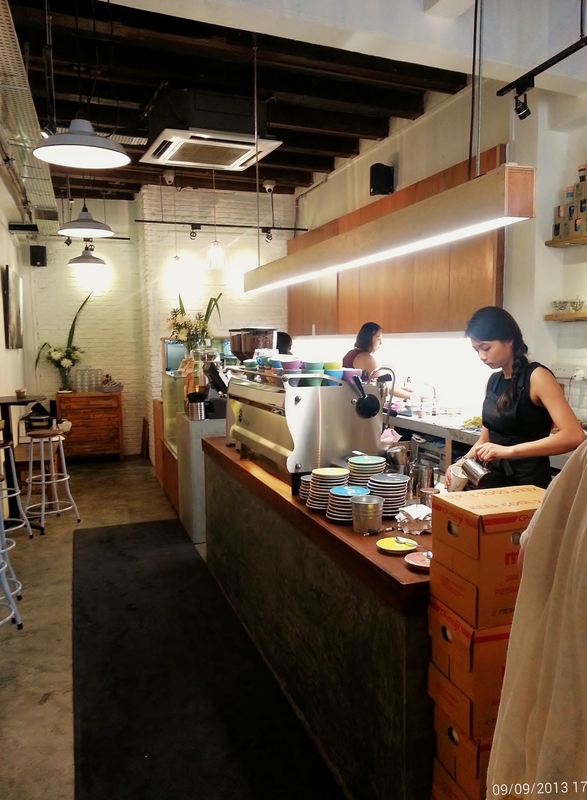 Situated in a row of shop houses, Strangers’ Reunion brings a rustic and laidback feel to its neighbourhood. The café was crowded when we arrived, and the delicious smell of roasted coffee and buttermilk waffles greeted us the moment we walked through the door. We managed to get a table, and we were introduced to the house’s “magic” coffee by a friendly staff, who also gave us recommendations for their house brews. Shereen ordered a “magic” coffee while I ordered a glass of Prosecco since the afternoon heat was getting too much for me to handle. We also ordered their famous buttermilk waffle with fresh fruits and maple syrup to share. Shereen’s “magic” coffee was not as good as she expected. It was slightly sour and not as intense as she would like (but not as sour as the syphon coffee she had earlier); it was saved by a good proportion of milk and coffee. As for me, I enjoyed my Prosecco, it was chilled nicely and definitely has more flavor than some I had from certain bars. Now, the much talked about buttermilk waffle. It was crispy on the outside and fluffy inside. 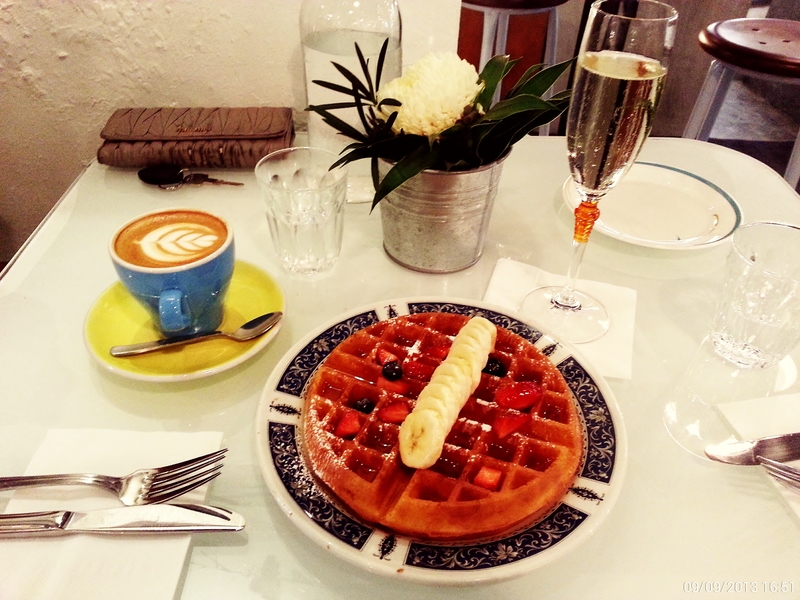 The fruits were really fresh and complimented the freshly made waffle well, making it a well-deserved tea time treat. The only gripe we had was that there was too much maple syrup drizzled on the waffle. Fans of maple syrup will definitely love this treat! Maybe we will ask for syrup to be served on the side the next time we visit the lovely place. It was a pity we couldn’t order any of their mains as it was our fourth café stop (you can imagine how stuffed we were) and it wasn’t halal certified. 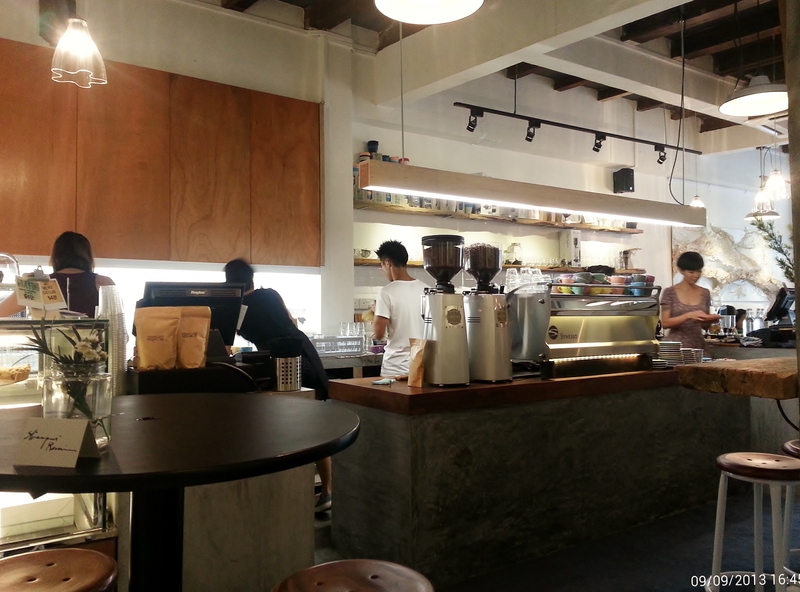 I need to return to the café and have brunch here soon and of course, taste other coffee they serve. Hopefully, I can update this review soon! How to get there: Approximately 10 mins walk from Outram Park Station. Bus Services to vicinity: 61, 166, 167, 196, 197, 124, 143, 147, 961, 961C. Our verdict? ♡ ♡ ♡ / ♡ ♡ ♡ ♡ ♡ (3 out of 5 hearts).